A dignified place to wait for the bus is an essential part of any well-functioning transit system. But transit agencies — many of them — have neglected this infrastructure, as we’ve seen in our Sorriest Bus Stop Competition. The advocacy group TransitCenter explains in a new report [PDF] that transit agencies are still overwhelmingly focused on rail, rather than bus, amenities. In 2016, transit agencies spent just 6 percent of their station capital funds on bus stop amenities, like benches and shelters. The other 94 percent went to rail stations. There are two main problems with that disparity. For one, it’s discriminatory. 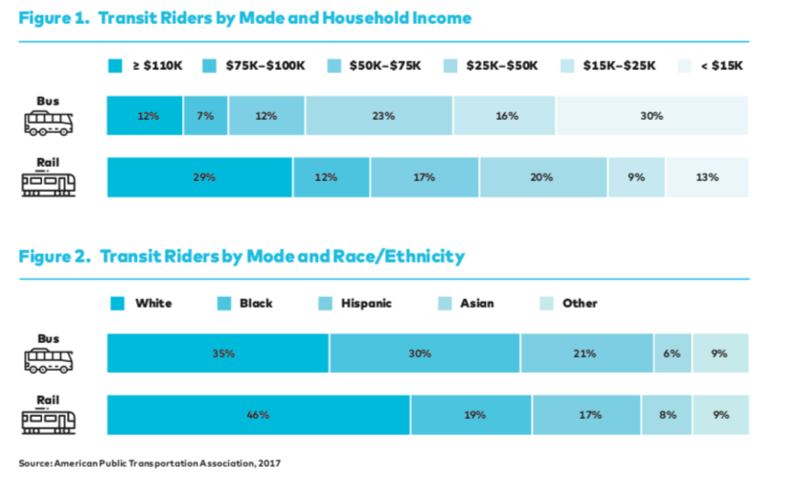 Bus riders are more likely to be low-income. And it’s bad business: about 50 percent of transit trips in the U.S. are still made by bus. Research has shown when bus riders have amenities like benches, shelters and trash cans, they perceive waits to be shorter. And bus stop amenities may even help improve ridership. According to Streetsblog’s very rough estimates, it would cost between $2.8 and $5.2 billion to put a bus shelter at every stop in America. Across the nation, transit agencies vary a great deal in their responsive they are to making sure their bus stops are safe and comfortable. Here is a good example, and a bad example from TransitCenter’s new case study. The Twin Cities’ Metro Transit is an example of an agency that is being thoughtful about how to ensure bus riders have a safe and comfortable place to wait. The agency, TransitCenter reports, takes responsibility for bus stops across the system, rather than leaving it to a patchwork of different municipalities. This also makes the process much easier from a permitting perspective. Metro is able to secure approvals simply by drafting the shelter and site plan and sending it to the appropriate Public Works department for approval. Metro Transit uses a private advertising partner that provides about $4 million a year for the right to advertise at rail and bus stations. But the agency maintains its contractual authority over stop planning. In 2014, Metro Transit applied for an Obama-era grant program called Ladders of Opportunity, aimed at improving mobility for low-income populations. The agency received a $4-million grant for a Better Bus Stops program. The goal was to improve ADA accessibility, lighting, shelters and route information at bus stops, particularly in low-income neighborhoods of color. Metro put 10 percent of the funding aside to hire local organizations to conduct outreach with riders about what amenities they valued and where they wanted to see them. The agency used 30 boardings a day as a guideline for which stops should receive shelters. It also considered site factors: is there enough clearance? As well as demographics: Is the stop in an area with a high number of carless households? The result was 200 additional shelters in neighborhoods with concentrated poverty. Metro takes responsibility for maintaining the stops itself. The agency does not even have a set of criteria it uses to evaluate bus stops, TransitCenter writes. That is true even though L.A. has been pouring hundreds of millions into improve transit service throughout the region. Metro, for example, has $361 million in Measure M funding to devote to first- and last-mile connections to transit. But the agency has only committed to making improvement at its 100 busiest bus stops. L.A. contracts with a private advertising company for street furniture and bus shelters. But the complicated approval process means that 640 fewer shelters were provided than the contract promised (2,500). 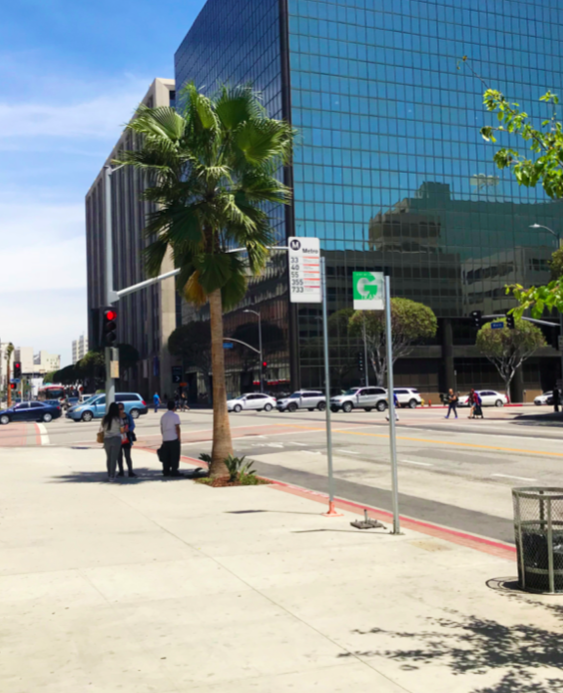 Following a lawsuit about bus stop accessibility, however, L.A. Metro has recently taken a few steps toward systematic improvements. The agency is building a database that carefully catalogues the amenities available at each stop, so at least it will have a good understanding the current conditions. For more best practices, check out the full report [PDF]. The the winners (losers) are: Pittsburgh, Cincinnati, New Orleans and Vancouver. Boston Identified Its Most Dangerous, Degrading Bus Stops. Now What? The MBTA is evaluating all 7,600 of its bus stops for safety and accessibility, and it will either improve or eliminate 200 of the worst ones. It's not okay to make elderly people with arthritis wait in the rain and mud. We estimate we could install a bus shelter at every stop in America for between $2.8 and $5.2 billion.